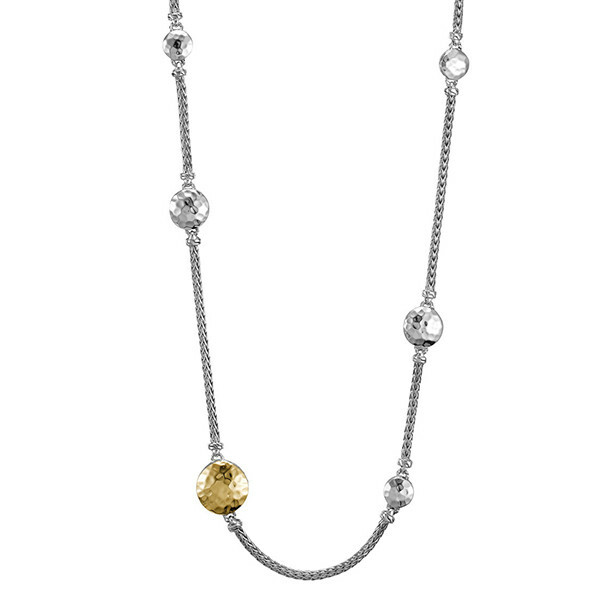 From the Palu collection, this sautoir John Hardy necklace is an all-purpose piece that will beautify any outfit. A graceful classic chain of sterling silver is adorned with various disc stations that are hand hammered to give the surface a rippled appearance, and one of these discs is crafted in 18kt yellow gold for a touch of duality. This John Hardy necklace is a gorgeous classic.